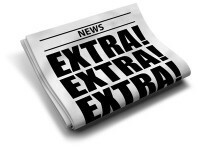 Changes are coming to the Soapbox, we are expanding into other services and product areas that we will share with our readership around the first of the year. 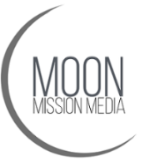 We start the change with our new relationship with Brandi Bergeron at Moon Mission Media who will be our new SoapBox facilitator. Brandi brings to the Soapbox new ideas dealing with social media and experience in dealing with icons in our industry. We will be using Brandi’s talents not just for the Soapbox but for new projects coming online in 2017 including “Giving Back” projects to our readership. We welcome Brandi to the Soapbox family and I encourage you to enjoy Brandi’s bio shown below. Lisa Dougherty is the founder of the Medical Fitness Network. Yes, there are individuals like Lisa that believe in “giving back” and want to make a difference in people’s lives. To spend time with her is to realize her special qualities. Bill McBride feels so strongly about Lisa that he wrote her introduction. You can’t help but feel energized once you meet Lisa and get a dose of her infectious personality. Lisa realizes that we have an obligation to service our aging population and people with special needs. Her organization Medical Fitness Network (MFN) provides you access to a number of programs that will help seniors and “special needs” members in your facility. Enrich your membership with all the Medical Fitness Network programs and make a positive difference in a member’s life. Kelly Campbell from Augie’s Quest provides us content on updates and activities in the Augie’s Quest organization. I would encourage you to receive their newsletter and attend their Augie’s Quest bash at the 2017 IHRSA. Please review Kelly’s article and join with me in supporting this iconic organization. Finally, in October we did our first ever “Flash Promotional Email Blast”! 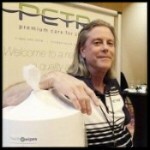 We offered a case of Petra AC 575-F Non-Alcohol Foaming Hand Sanitizer at about ½ the price of competing brands. We will run another Flash Email Blast later this month. Thank you for being a loyal Soapbox reader and we look forward to providing you information thats worthy of your time to read. Changes to Federal Overtime Laws are going into effect on December 1. These changes will extend overtime eligibility to an additional 4.2 million workers. Under the new rule, an employee must have a guaranteed salary of at least $47,476 to qualify as exempt, more than double the current minimum of $23,660. Attend this webinar to learn more about the Department of Labor’s new FLSA Overtime Exemption Rule, steps to take to comply with this rule, and an explanation of the FLSA’s “Retail Sales Exemption” by employment attorney Jordan Schwartz. More information about how IHRSA is trying to stop these changes from taking effect, and how these changes will impact clubs is available here. I’m honored to serve on the Medical Fitness Network’s advisory board. After meeting Lisa Dougherty, being moved by her passion and learning about the mission of the MFN – I was determined to be involved. We enrolled our clubs and fitness professionals in the “super registry” to better serve special populations. Not only is it very fulfilling to work with those in the most need of our expertise. It also furnishes leads to our highly trained fitness professionals within our facilities. These new members personal train because they want and need the expertise of highly qualified fitness professionals. There are approximately 100 million baby boomers (aged 50 and over) making up 30% of the nation’s population and three-fourths of its wealth. This group is expected to live longer than previous generations. This is the largest population segment in our economy and they are seeking professional help for their aging bodies. As this group ages, we are seeing a significant increase in obesity, chronic disease and individuals with multiple medical conditions. The number of aging individuals seeking fitness professionals is about to reach it’s tipping point. Among the many conditions a boomer client may face are: joint replacements (often two or more), arthritis, cardiovascular disease, cancer, diabetes, obesity, osteoporosis, Parkinson’s and muscle loss. These members/clients, once thought of as the exception, are now becoming the norm. They have heard that not all exercise is created equal and they will be looking for clubs, programs and professionals who understand who they are and how they can be helped to restore function and preserve their quality of life. The Medical Fitness Network (MFN) was founded in 2013 due to the necessity of servicing our aging population. America’s aging are internet savvy and spend time researching online before deciding who and where to get help from when their physician suggests starting an “exercise program”. MFN is a free online resource directory for consumers to locate clubs, fitness & allied healthcare professionals who provide services for those with chronic disease, medical conditions, disabilities and women’s health issues including pre & postpartum care. 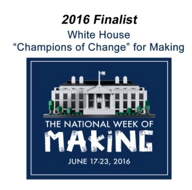 acknowledged by the White House as a finalist for Champions of Change in 2016 for its community service work. Facilities can join to increase their online exposure and credibility for $99 for the first year. Membership includes a full page business listing plus unlimited professional memberships for each of the staff to promote their services and specializations under the facility listing. The cost of this membership is easily offset by all the benefits that come with it. MFN believes education is important and has partnered with 50 education companies that provide members with savings on certifications and CEC’s. Fitness & allied healthcare professionals working with the aging population must have a higher level of knowledge, skill and expertise. Members also gain access to FREE educational webinars from the top experts in the fitness industry to stay up to date on the latest in research and trends in the industry. It is clear, the demand for more medical fitness facilities and professionals will only grow as our population grows and ages. The MFN offers an opportunity for clubs & fitness professionals to become an established part of the healthcare team. Please join this registry today! Lisa Dougherty is the founder of the Medical Fitness Network. Her vision is help improve the quality of lives of the many millions of people by connecting them with facilities and professionals who have background in prevention, treatment & rehabilitation of chronic disease, medical conditions, disabilities and women’s health issues including pre & postpartum care. Lisa has worked in the fitness industry since 1999. She graduated from the University of Ca, Irvine, Fitness Instructor Program, and went on to get her Certified Personal Trainer and Health Coach Certifications through the American Council on Exercise. She has many specialty certifications to work with arthritis, CVD/stroke, breast cancer, diabetes, fibromyalgis, knee & hip replacement, MS, osteoporosis, Parkinson’s, post surgical/rehab as well as pre & postpartum fitness. The fitness industry continues to support Augie’s Quest to Cure ALS, the research initiative led by LifeFitness co-founder Augie Nieto. Recently, Health and Fitness club recruited and trained runners to raise a record $430,000 for ALS research. Team Quest4ALS is a new Augie’s Quest endurance event program that works with people of all athletic abilities to train for and complete a half-marathon for their first time or their fastest time while committing to a fundraising minimum to benefit amyotrophic lateral sclerosis (ALS) research at the ALS Therapy Development Institute. Thanks to 15 clubs and over 155 runners who completed the Brooklyn Rock ‘n’ Roll Half Marathon for ALS Research on October 8th. Augie’s Quest was represented by Augie’s wife, Lynne, and his son, Austin, who finished the half-marathon in honor of his dad. Five patients living with ALS attended the event, and inspired all runners to finish. We are grateful for the fitness industry who came together to help make this Inaugural event a success! 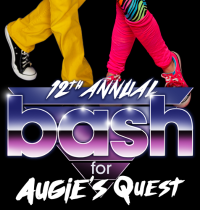 Save the Date for the 12th Annual BASH for Augie’s Quest, which will take place in conjunction with the IHRSA Conference and Trade Show on March 10, 2017 in Los Angeles. Please visitwww.augiesquest.org/bash for details. Thanks to the fitness industry, great strides are being made in research. This year the ALS Therapy Development Institute has made significant progress on its two lead research programs; AT-1501 and the Precision Medicine Program. Right now, there are already 370 people enrolled in the PMP, and the Institute is aggressively working in partnership with those people with ALS to collect crucial data necessary to find treatments and cures. One of the most significant outcomes to date of the PMP are the creation of databases pointing to the potential use of the movement and speech tracking technology used as tools to speed up clinical trials, reducing the time and number of lives it may take to determine if proposed treatments for ALS actually work. One such proposed treatment, AT-1501 has also advanced forward this year, overcoming milestones related to its scalable manufacturability and potency of that process. In addition to these two lead research programs, the Institute continues to lead the field in the screening and validation of potential treatments by developing various models of disease, including mouse and now human derived cell lines. For the latest information on these programs, please visit http://www.als.net/summit. Content Creator with her finger firmly on the pulse of digital media’s leading edge. With 20 years of marketing experience under her belt, Brandi loves nothing more than helping her clients to thrive in both traditional marketing and the constantly changing seas of digital and social media. Her secret weapon is a knack for combining powerful relationships with strategic expertise that bridges the Wellness, Fitness and Technology industries. A strategist who truly understands the power of a thriving community, Brandi’s mission is to help her clients to explode a raving fan base through top notch content. Her work isn’t done until her clients have blasted through the ceiling of their business potential. An LSU Grad who has spent the last 2 decades working within a variety of industries, from Lifestyle brands (B2C) to the industrial sector (B2B), she can skillfully hone and realize a company mission, bringing integrity, honesty, creativity and compassion to all of her work. Known for her attention to detail, Brandi is super easy to work with and she loves getting to know her clients in order to meet and exceed their every marketing need. Through her full service media company, Moon Mission Media, co-founded with industry leader Bryan K. O’Rourke, her work continues to develop impactful messages and stimulate authentic engagement between diverse communities across the digital landscape. Motivated by the fun of enabling her clients to serve their audiences in a meaningful way, Brandi earns customer trust and converts them into loyal supporters for each one of her clients. It’s a passion for excellence that drives Brandi’s success. Her unwavering ability to deliver consistent results is the driving force behind her solid reputation as a stellar marketing professional. She’s a whiz on any campaign, no matter how abundant or limited her resources may be. Brandi never fails to answer the customer’s call with creativity and commitment. Brandi held the position of Director of Digital Marketing at both Integerus LLC and the Fitness Industry Technology Council and she’s worked as a Marketing Consultant at various companies in the health industry, including DiAMC (Diabetes Assessment and Management Centers) and Physicians Proviso. She has recently been published in a joint collaboration between Bryan K. O’Rourke and Robert Dyer, in their new book, The Nine Principles of Partnership. When she’s not producing marketing miracles for her clients, you can find Brandi running on the beach, reading and spending time with her family and friends. Previous Previous post: PetrA-1 Joins Tom Johnston for Global Wellness Day!